1972 Drive into Europe (dir: Peter Ormrod). Documentary for the National Motor Museum, Beaulieu. 1973 Requiem for a Village (dir: David Gladwell). A BFI Film Production. Assistant Cameraman for ph: Bruce Parsons. Shot on location in Suffolk and Norfolk. Based in Aldeburgh. 1974 This Game of Golf (dir: Mike Raeburn, ph: Walter Lassally), featuring Sean Connery. Assistant Cameraman. On location in Epsom. 1974 Haunting Storm (dir: Mike Hall). Part of a V & A Museum exhibition on film special effects. Assistant Cameraman. Shot in and around the V & A Museum. 1975 Horizons (dir: Peter Ormrod). A short film shown on BBC2 Premiere series, featuring extraordinary aerial footage in an aerobatic biplane. Film Editor, at RCA Film School. Shot in south London and at Redhill Aerodrome with Neil Williams flying a Stampe biplane. 1975 Out of the Labyrinth (dir: Gordon Stainforth). My final year film at the RCA Film School, a daringly minimalistic biopic of Beethoven in the last year of his life with a great performance by Tony Britton as the composer. Shot on location in the Ranger’s Lodge, Hyde Park. 1976 Rachel and the Beelzebub Bombadiers (dir: Peter Ormrod). A Southern Arts Council Film, shown on BBC2. Sound Recordist. Shot on location in Hampshire and Berkshire. 1977 The Crisis Inside (producer: John Penycate, reporter: Tom Mangold. Editor: David Hope.) A four-part BBC series about our prisons. Assistant Editor. Cirrus Films, Denmark Street, London. 1977 Remote Britain (producer: Keith Hulse). Editor: Jonathan Kent. A series of six films for BBC Nationwide. Assistant Editor. Cutting rooms in Shepherd’s Bush near Television Centre. 1978 Terror International (producer: John Penycate, reporter: Tom Mangold). Editor: David Hope. A two-part BBC Panorama Special on international terrorism. 1978 The Real War in Space (producer: John Penycate, reporter: Tom Mangold). Editor: David Hope. A two-part BBC Panorama Special about the nuclear arms race. 1978 High Hopes. A BBC South-West documentary, instigated by Gordon, about Norman Croucher, the outstanding double-leg amputee mountaineer. Associate Producer. Shot on location on the Gower and in Cornwall. Assistant Editor. Thames Teddington Studios. 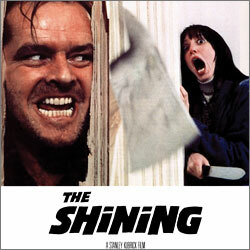 1979-80 The Shining (dir: Stanley Kubrick, ed: Ray Lovejoy). Warner Bros.
Assistant Editor and Music Editor. EMI Elstree Studios. 1981 Churchill, The Wilderness Years (dir: Ferdinand Fairfax) Southern Pictures for ITV. A seven-part drama-documentary starring Robert Hardy. Assistant Dialogue Editor. Twickenham Studios. 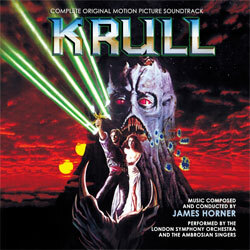 1982-83 Krull (dir: Peter Yates, ed: Ray Lovejoy). Columbia Pictures. First Assistant Editor. Pinewood Studios. 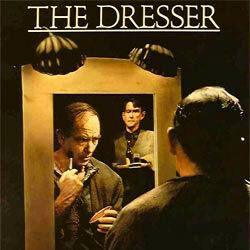 1983 The Dresser (dir: Peter Yates, ed: Ray Lovejoy). Columbia Pictures. First Assistant Editor and Music Editor for James Horner (Titanic, Avatar, etc.) Pinewood Studios. 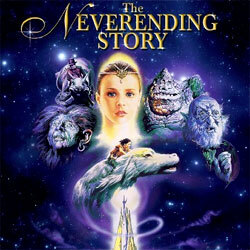 1983 The Neverending Story (dir: Wolfgang Petersen) Warner Bros.
Assistant Optical Effects Editor. Bavaria Film Studios, Munich. 1984 Sheena, (dir: John Guillermin, ed: Ray Lovejoy.) Columbia Pictures. Associate Editor. On location in Kenya, and post-production at EMI Elstree Studios. 1985 Legend, (dir: Ridley Scott.) Universal Pictures. American re-cut. English Associate Editor, with US editor Bill Gordean. Pinewood Studios. 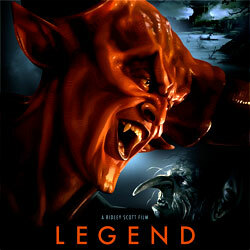 1986 Legend Promotional Video (dir: Tim Pope). Universal Pictures. Consultant Editor. Ridley Scott Associates, Soho.